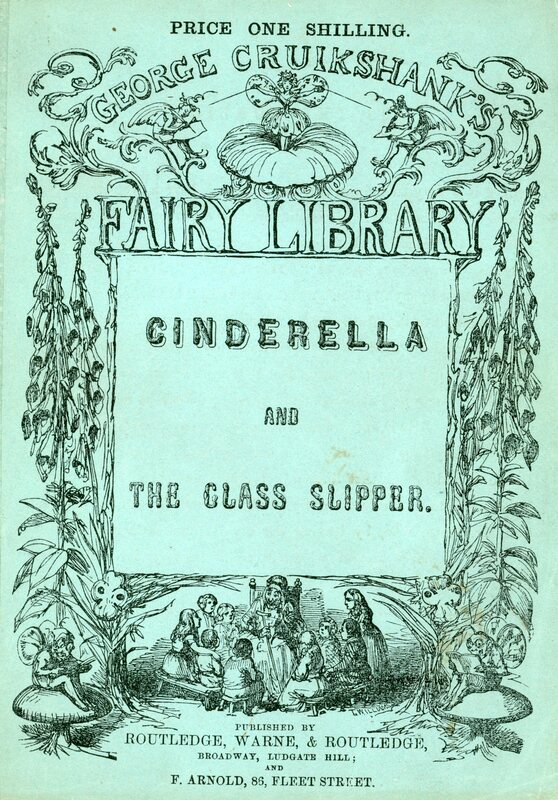 Cinderella and the Glass Slipper is part of Cruikshank's Fairy Library. 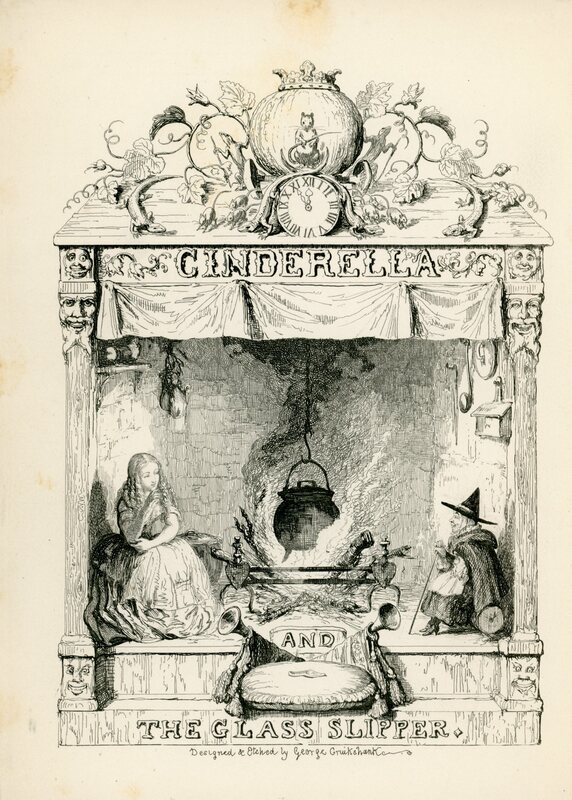 This is the frontispiece to Cinderella and the Glass Slipper. 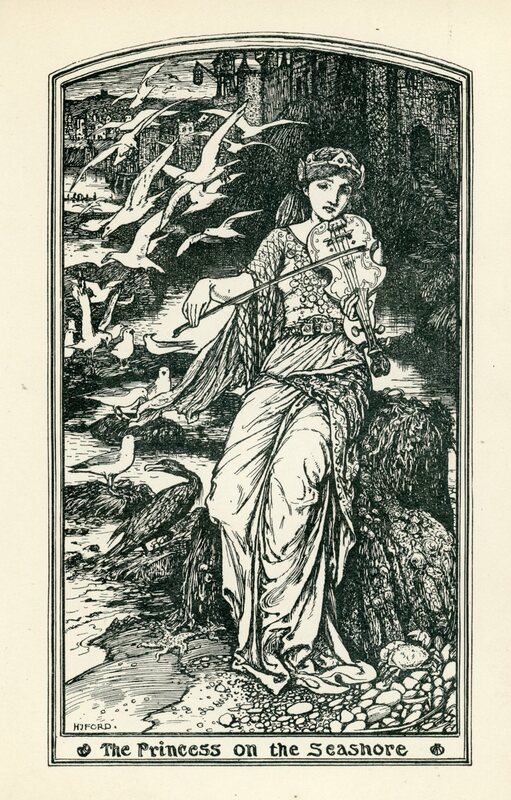 "There, said her godmother, pointing with her wand...pick it and bring it along"
This is the frontispiece to The Little Mermaid. 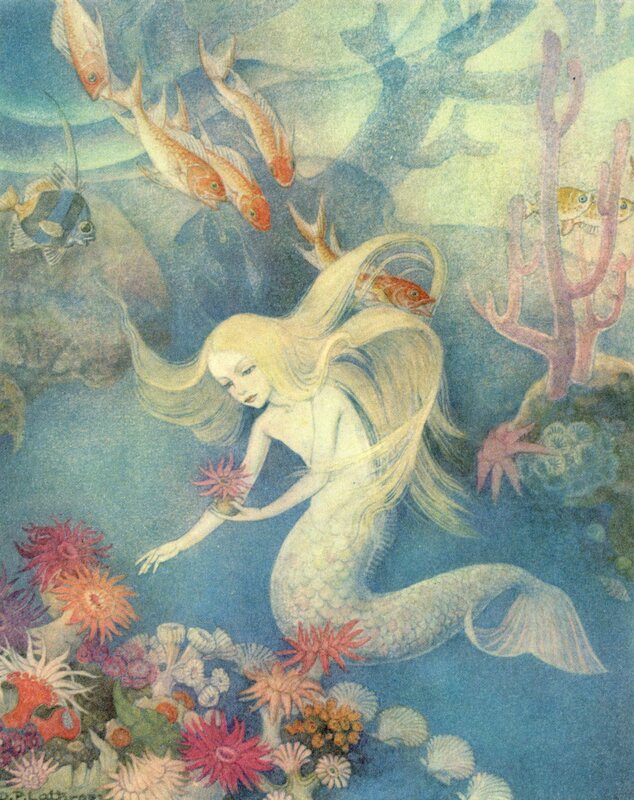 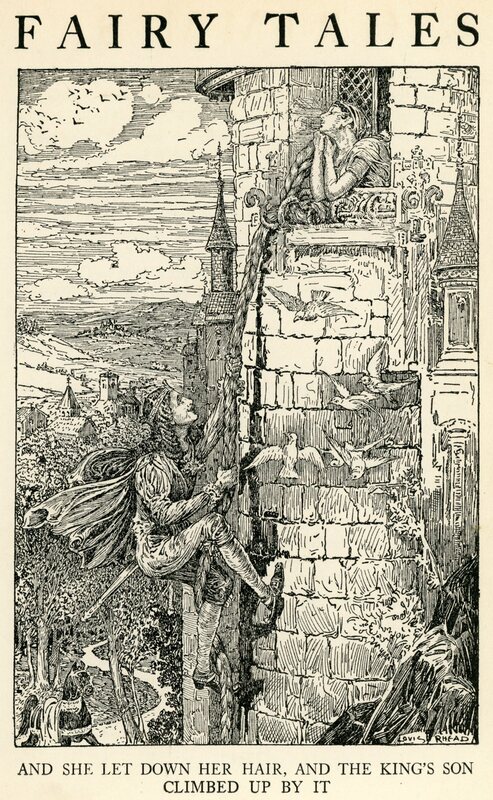 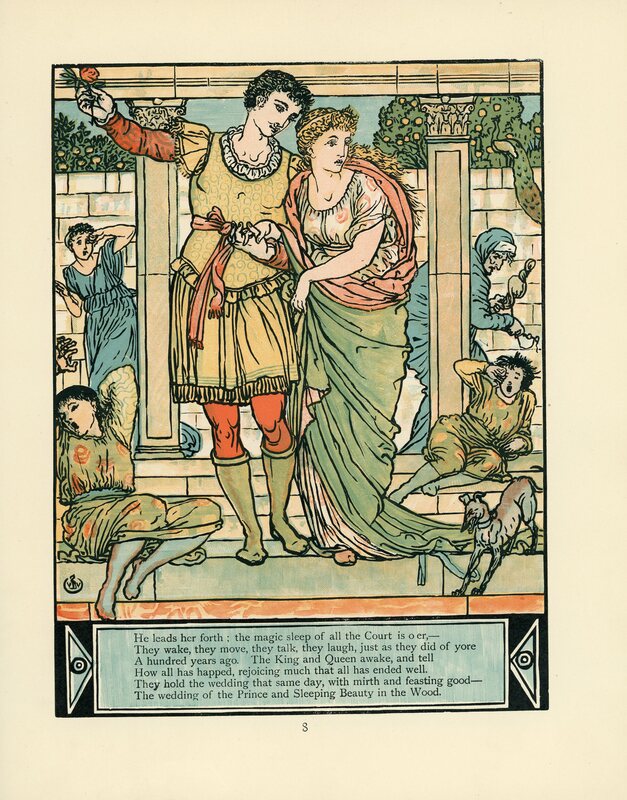 This illustration is from The Mermaid and the Boy in The Brown Fairy Book, edited by Andrew Lang. 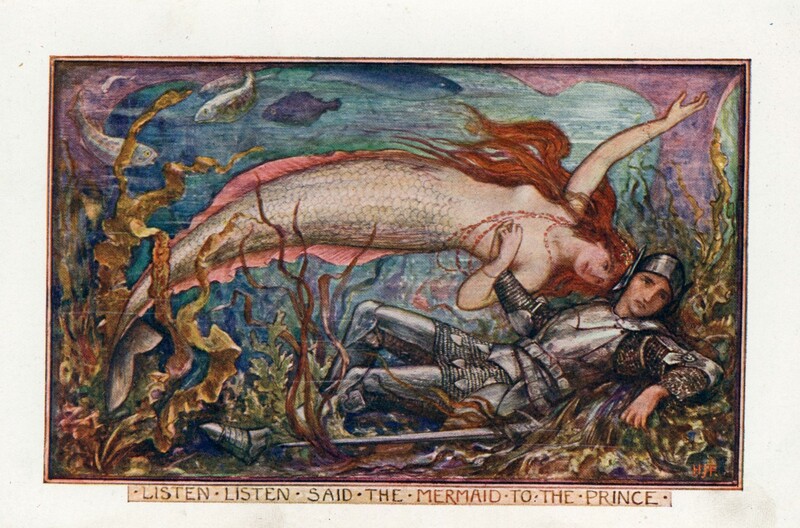 "Listen, listen, said the mermaid to the prince." 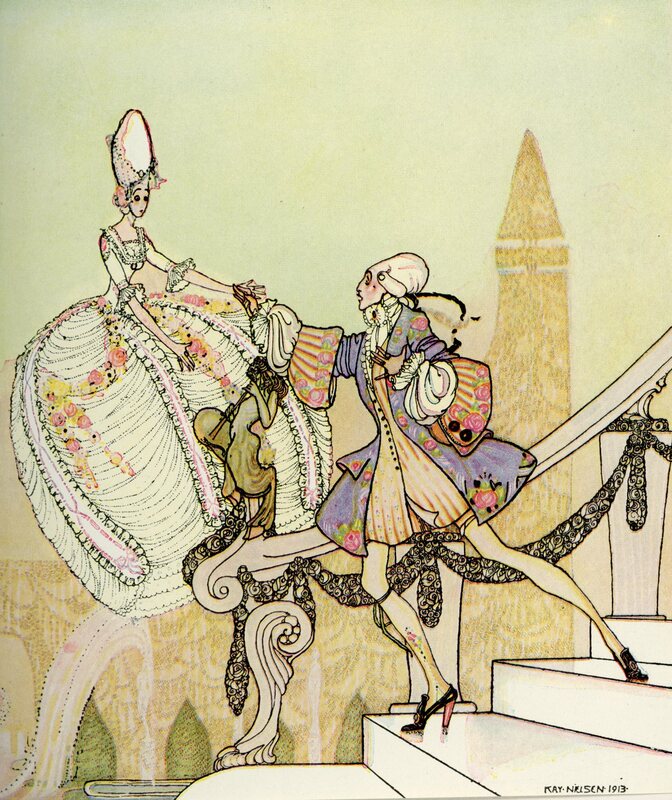 "More than once she had been known to have a tea-party..."
"Ah, Princess!--Surely you are not running away from me?" 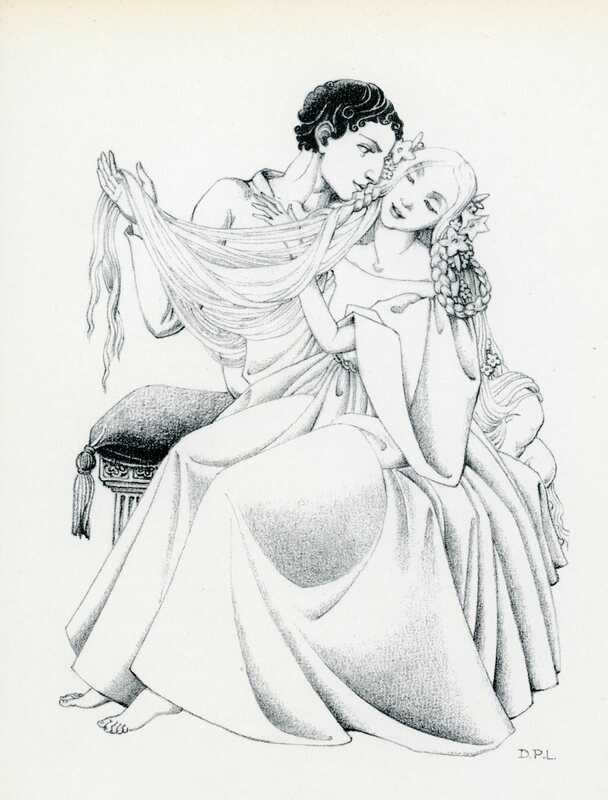 "Not a wink the whole night long." 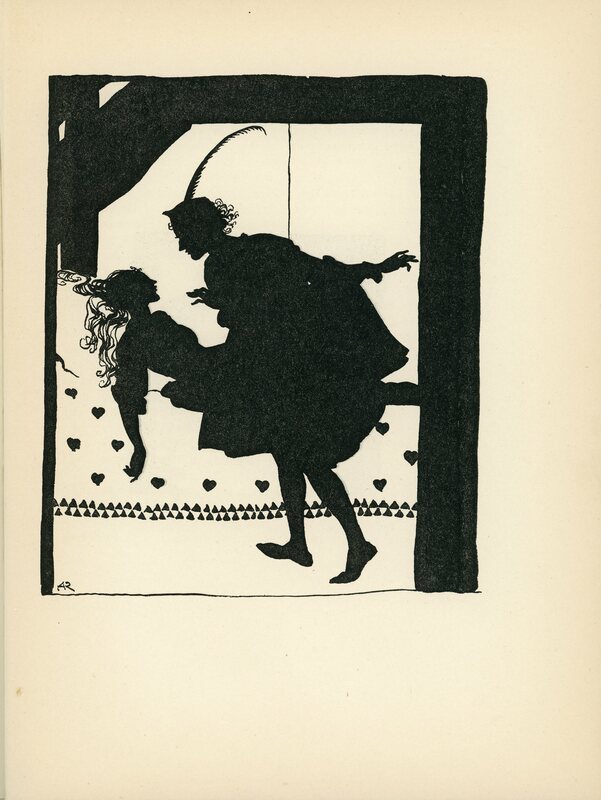 This is the frontispiece to The Twelve Dancing Princesses and Other Fairy Tales. 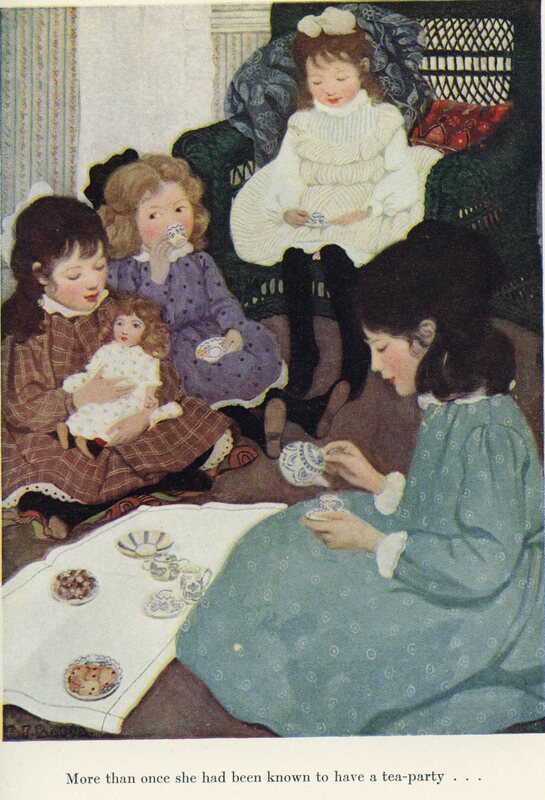 "Don't drink!" 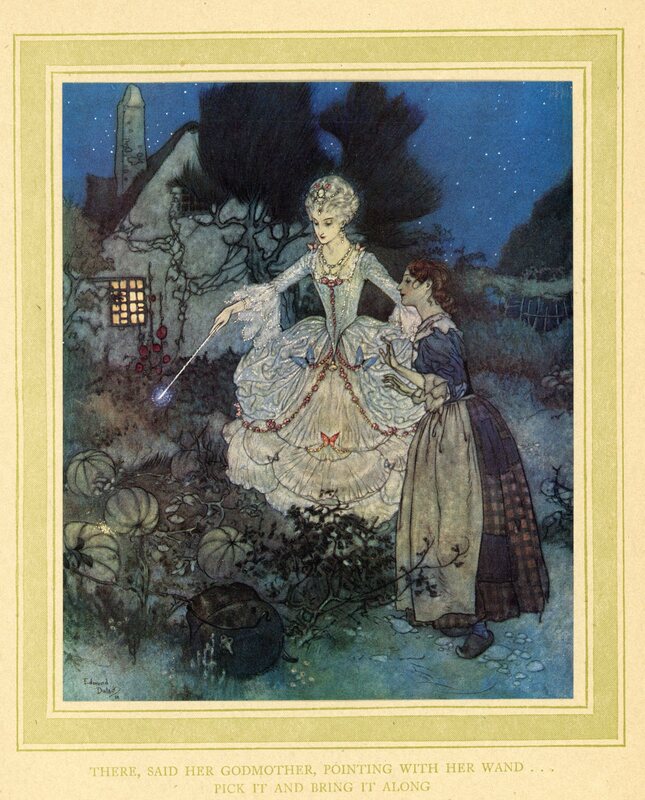 cried out the little Princess, springing to her feet; "I would rather marry a gardener!" 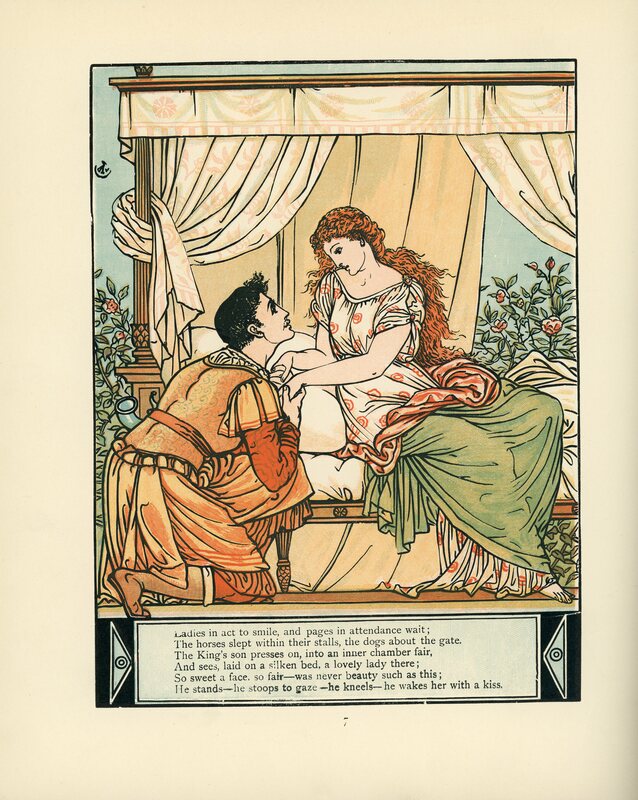 "And she let down her hair and the king's son climbed up by it"
"He wakes her with a kiss." 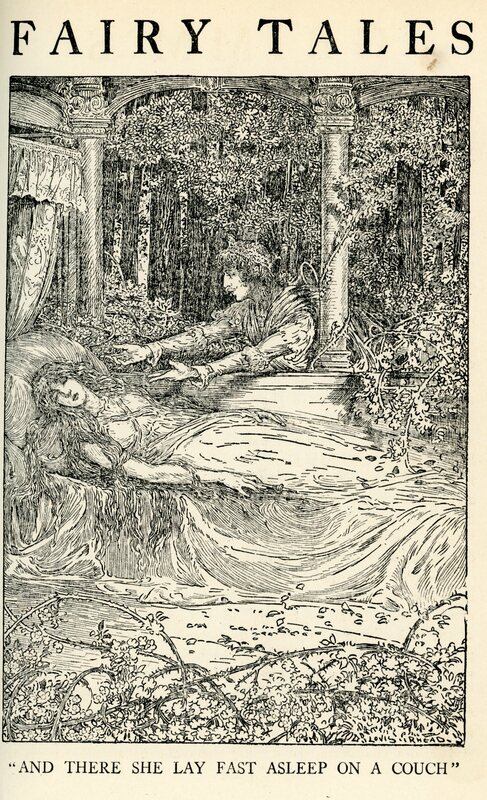 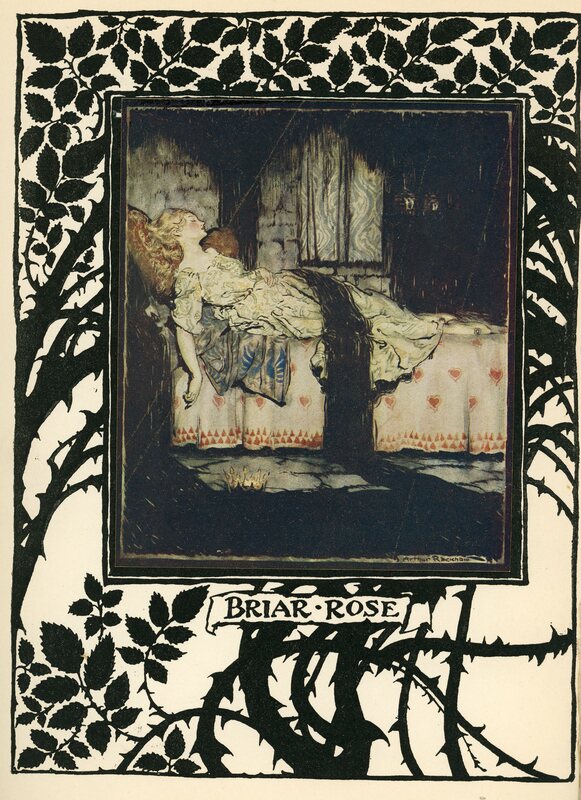 "The wedding of the Prince and Sleeping Beauty in the Wood." 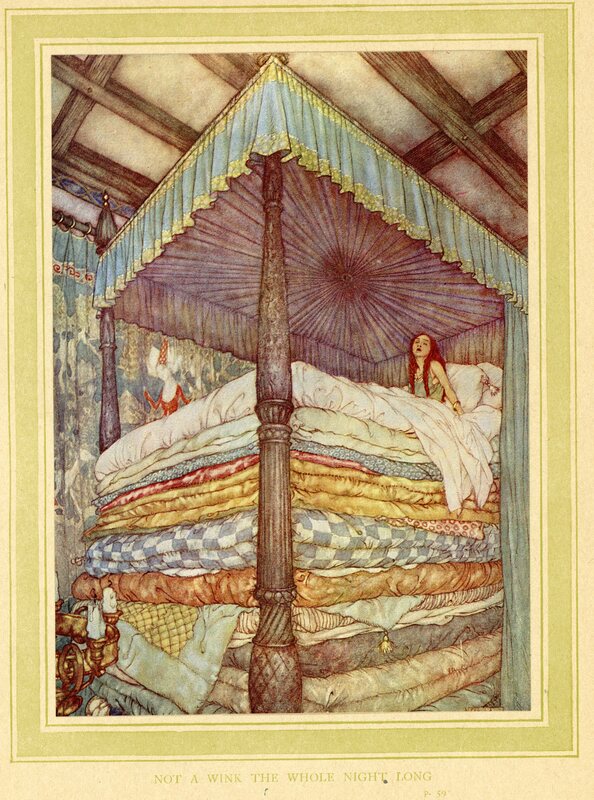 "There she lay, fast asleep in the couch by the window." 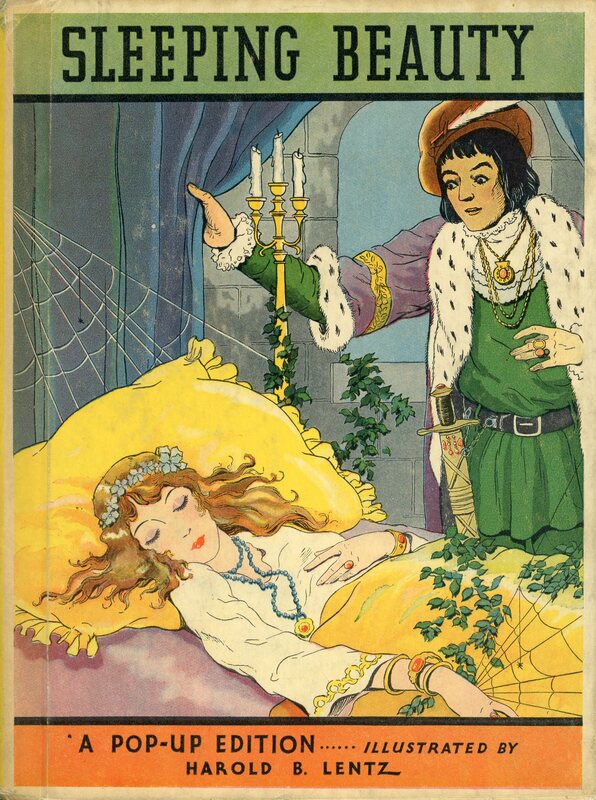 "And there she lay fast asleep on a couch"
"Softly the Prince came near and bent over her." 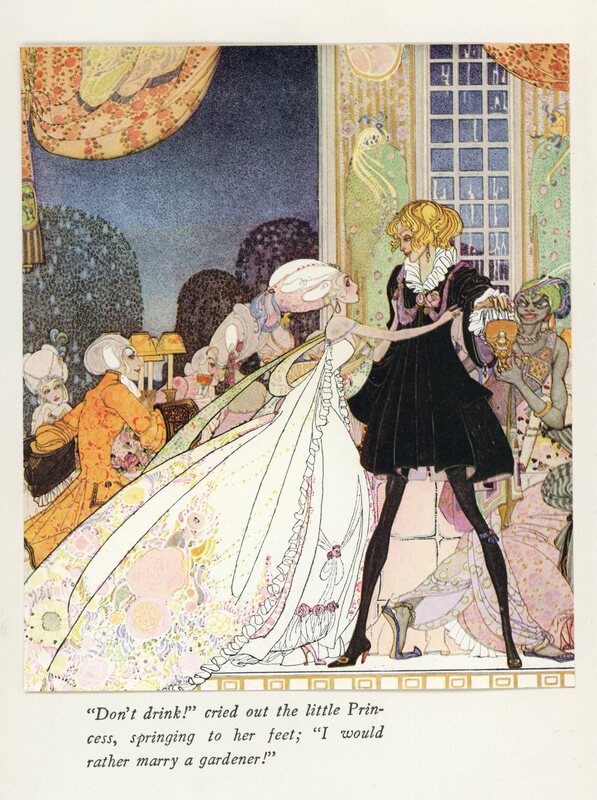 Princess Images drawn from the collections of Adelphi University Special Collections.